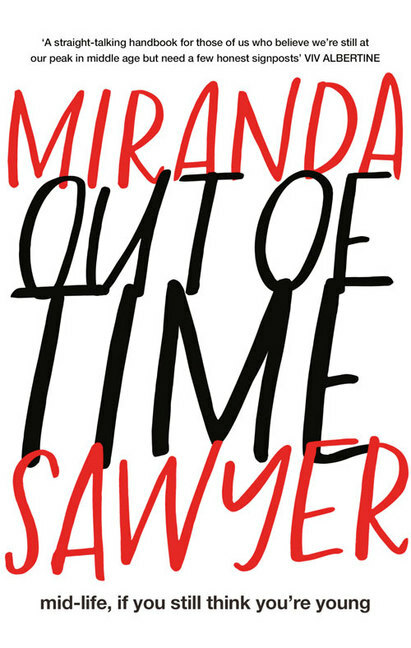 Out of Time: Midlife, If You Still Think You're Young, Miranda Sawyer's very modern look at the midlife crisis has been receiving some wonderful reviews since it was recently published by Fourth Estate. Miranda Sawyer’s midlife crisis began when she was 44. It wasn't a traditional one. She didn't run off with a Pilates teacher, or blow thousands on a trip to find herself. From the outside, all remained the same. Work, kids, marriage, mortgage, blah. Days, weeks and months whizzed past as she struggled with feeling – knowing – that she was over halfway through her life. It seemed only yesterday that she was 29, out and about. Out of Time is not a self-help book. It’s an exploration of this sudden crisis, this jolt. It looks at how our tastes, and our bodies, change as we get older. It considers the unexpected new pleasures that the second half of life can offer, from learning to code to taking up running (slowly). Speaking to musicians and artists, friends and colleagues, Miranda asks how they too have confronted midlife, and the lessons, if any, that they've learned along the way.